Get free advice and estimates from door contractors in your city. The entry door of the home is the protective layer between you and the outside world. Choosing one that provides security, has energy-saving properties, and looks beautiful is ideal. Fiberglass 1 and steel are two of the most widely chosen entry door materials. To make a better selection for your home, it is important to consider the differences outlined below. Fiberglass 1 doors come in many styles, colors, and grains. They are a more popular choice for homeowners who want something secure but also beautiful. A wood appearance is another highly sought after feature of fiberglass doors. Fiberglass can be painted and customized to the homeowner’s liking, making it an ideal option for those who want a particular look and feel. Steel entry doors cannot be painted to match the home. They come in fewer styles and options. Steel is not a popular choice because of the appearance and inability to customize. However, it provides a smooth, unique entry door for many homes. Both are available with a wood finish, but fiberglass provides the true resemblance to wood grain. We recommend using a professional for door installations since it is the entryway to your home and what keeps the world out. It is important that the job is done correctly. Fiberglass door installation involves measuring the door frame, adding the hinges 2, and then putting the door into the frame. Other specifics must be done by a professional, such as adding additional shims to the sides of the doorway. Fiberglass doors are easier to install because they are pre-hung. 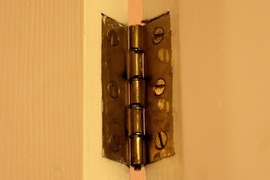 You only need to install them onto the hinges 2 in the doorway to make them tight against the frame. Steel door installation is done by having the door cut to the specifications of the doorway measurements. Anchors and wall frames are required to get the best fit for the specific doorway where the new steel door is being installed. 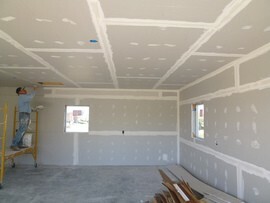 Sometimes drywall 3 is needed around the frame. The cost of fiberglass and steel doors varies widely depending on the style, quality, and size. A quality fiberglass door can cost anywhere from $800 to $1,000, while a higher-quality fiberglass door can run from $1,500 to $2,500. The cost to install a fiberglass door varies depending on the installation company. For a quality fiberglass door installation, expect to pay between $3,200 and $5,000, which includes the cost of a door that measures 32 x 80 x 1 ¾ inches. Basic steel entry doors cost around $200 to $500. The price depends on the thickness of the steel. More upscale, quality steel doors range closer to $1,000. Installing a basic steel door measuring 32 x 80 x 1 ¾ inches ranges from $600 to $1,800. Both fiberglass and steel doors are more energy-efficient than wooden doors. Fiberglass doors are more energy-efficient than steel doors due to the long lifespan and ability to work with the weather. They expand and contract with the temperatures outside without letting the controlled climate out of the home. Steel doors are a more energy-efficient choice over wood, but they do not provide the same energy-saving benefits that fiberglass offers. Steel entry doors provide more protection than fiberglass because they are made of a thicker, more protective material. It is harder to break into because of the strong hold that they provide in the frame of the house. 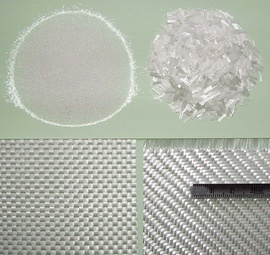 On the other hand, fiberglass is easier to manipulate, making it a less secure option. Steel is more likely to scratch and dent than fiberglass because of the thinner outer layer. However, this does not penetrate the inside of the door, making it a sturdy selection. If someone kicks in a steel door, they will make a dent, but the door will stand firm. Fiberglass also gets dents and dings. It is a lightweight material, which makes it easier to bend in and break through. If struck hard enough, the fiberglass might crack. Steel, however, will stand strong in this case. 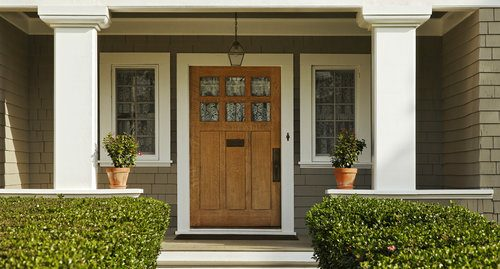 Fiberglass is a material that does not rust with time, making it a longer-lasting option for a front door. Maintenance is not extensive for either type of door. Although, some small tasks may need to be performed. Fiberglass doors can be wiped down, painted, and repainted to the homeowner’s liking. They can be oiled and sprayed with a pressure washer to keep clean. However, it is important to use the washer on the lower setting because higher settings can cause dents. Steel doors should not be hosed down often because they can rust. It is important that they are well oiled and kept in great shape. They do not need regular cleaning, however. Steel doors transfer heat from the outside to the inside. When the hot sun shines on it, the door heats up. Fiberglass doors do not hold the heat, so they continuously stay cool, even when in the hot sun for long periods of time. While fiberglass can resist extreme temperature fluctuations, steel does not stack up so well. It is unable to expand and contract with the heat and colder weather. Instead, it absorbs it. This causes the door to be either hot or cold. With time, this breaks down the integrity of the door, making fiberglass a longer lasting option. Both types of doors provide increased resale value when it is time to sell. Steel doors have a higher resale value, recouping around 90% of the value, while fiberglass doors bring in closer to 77%. 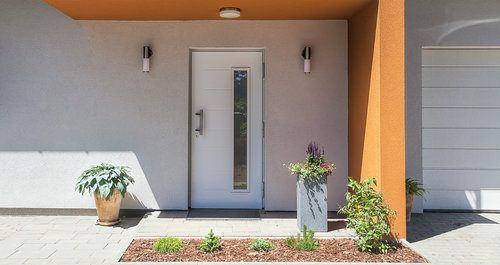 How much does it cost to install a fiberglass or a steel entry door in my city? Cost to install a fiberglass or a steel entry door varies greatly by region (and even by zip code). To get free estimates from local contractors, please indicate yours.